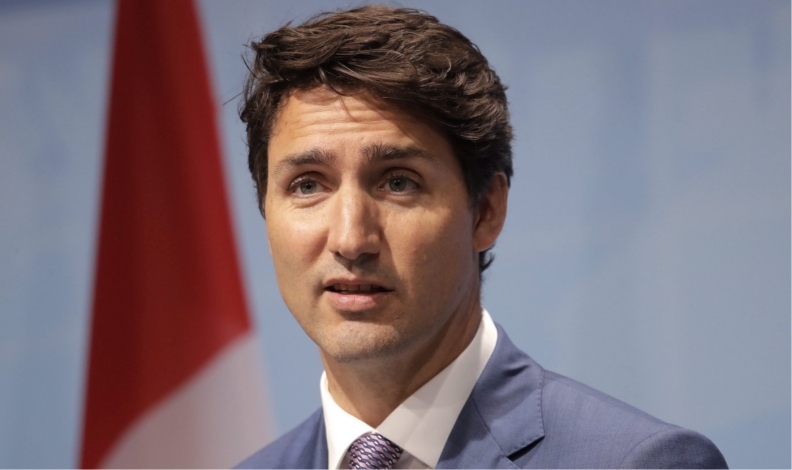 OTTAWA — As negotiations to rewrite the North American Free Trade Agreement falter, the Canadian government is expecting premiers and federal cabinet ministers to fan out across the United States to push the merits of the trilateral trade pact. Federal cabinet ministers will be heading south in the coming days to continue their full-court press for the deal, following the end of the fourth round of NAFTA talks that saw American negotiators drop bombshell proposals on autos, dairy and other issues that Ottawa views as non-starters. On auto parts, the United States also tabled a proposal for all cars to have 50 per cent U.S. content to avoid a tariff. The United States has requested this policy be phased in within one year, which automakers call impossible. Transport Minister Marc Garneau will attend Friday's meeting of the Great Lakes and St. Lawrence governors and premiers in Windsor and Detroit. Government officials, speaking on the condition of anonymity because of the sensitivity of the trade talks, say these moves are not a just a response to the latest round of talks, which exposed massive gaps between American bargaining positions and those of Canada and Mexico. They say the effort has been long planned as part of a co-ordinated attempt to reach out to U.S. lawmakers, using premiers and cabinet ministers to target key states. Foreign Affairs Minister Chrystia Freeland and David MacNaughton, Canada's ambassador to the United States, briefed the premiers on the latest NAFTA developments during a first ministers meeting two weeks ago. "It's in everyone's interest to continue the outreach that has been ongoing," said one source. "I think the provinces and territories understand that as much as we do, which is why we've seen a strong level of engagement on their part." Later this month, Ontario Premier Kathleen Wynne will use a meeting of the Toronto Global Forum to meet Florida Gov. Rick Scott. "In the face of the NAFTA renegotiations and U.S. protectionism, our partnerships are demonstrating that free trade benefits businesses and workers on both sides of the border," Wynne says in a statement promoting the conference. Earlier this year, Prime Minister Justin Trudeau dispatched 11 cabinet ministers to key U.S. states to make the case for NAFTA and to keep people and goods flowing over the border. Their key talking point is that 35 U.S. states call Canada their top customer, while nine million Americans depend on trade with Canada for their jobs. Those efforts continued on Wednesday when Freeland met in Washington with Sen. Bob Corker, the Tennessee Republican who has been highly critical of Trump. In the coming days, Science Minister Kirsty Duncan is to travel to North Carolina to meet politicians and academics. In November, MacNaughton and Andrew Leslie, Freeland's parliamentary secretary on U.S. relations, are to attend the Halifax Security Forum in anticipation of meeting Sen. John McCain. Garneau's visit to the Friday meetings in Detroit and Windsor will have him in the company of several key U.S. politicians, including Wisconsin Gov. Scott Walker and Gov. Rick Snyder of Michigan. Wisconsin was the setting for some of Donald Trump's harshest anti-Canadian trade rhetoric when he criticized Canadian dairy policies for hurting mid-western farmers. This week, U.S. negotiators called for an end to Canada's supply management system for dairy, chicken, eggs and turkey within the next decade. Government officials say they are noticing how U.S. business and labour groups are starting to speak out in support of NAFTA and its economic benefits. They point to warnings coming from prominent business groups, including the U.S. Chamber of Commerce, that tearing up NAFTA would be bad for the economy.